In the post-apocalyptic performance “Trance”, we witness the initiation of a new member in neo-fanfare 9×13, in which the percussion plays a leading role. Since the beginning of mankind, drums have been used to accompany journeys to other worlds. Trance takes us on such an adventure, powered by a percussion chariot filled with tribal elements, traditional percussion, junk instruments and electronica. Join us in this alienating musical ritual, with newly composed music, a taut and theatrical choreography, and experience the ultimate fanfare wasteland! This is a free public try-out in preparation for the premiere on Sunday June 18 at Festival Classique. 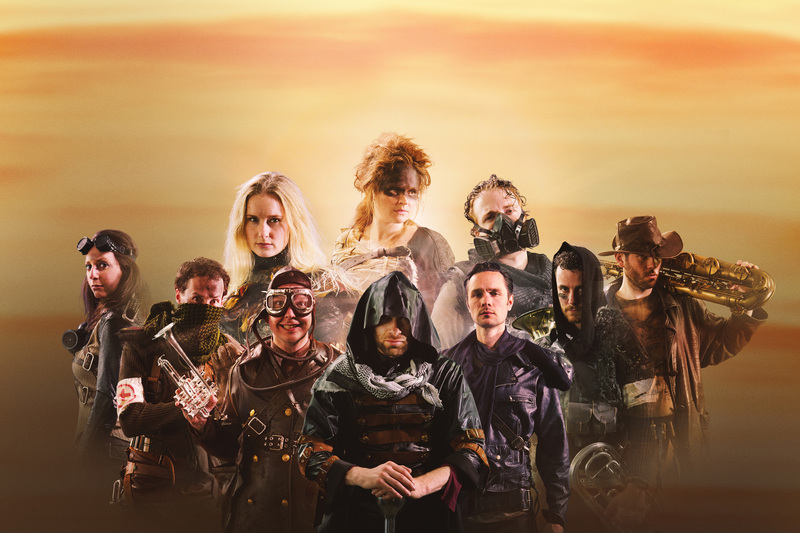 What do you get when you combine ten leading musicians, contemporary music and a marching band? 9×13! With flute, saxophones, horn, trumpet, trombones, tuba and percussion 9×13 brings contemporary music directly to a broad and diverse audience. At first look, a traditional marching band, but it’s much more. 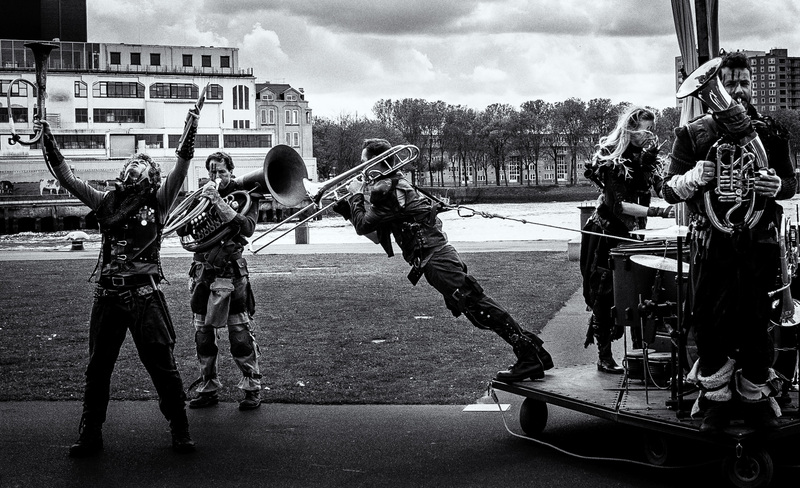 It’s a brass band reborn: theatrical, challenging and versatile. The finest contemporary composers cut loose and re-think the rules of marches, ballads, dances and waltzes. Enticing new music, with taut choreography and a skilled theatre direction that embraces narrative, abstract and absurd. Whether that’s at festivals, in the park, on the street, or in the concert hall, for a special event or simply in your front yard. Allow yourself to be challenged, moved, shaken and stirred by the cutting edge productions of 9×13.